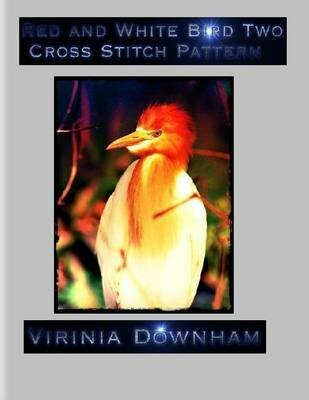 This Red and White Bird Two Cross Stitch Pattern contains a picture of a stunning red and white bird on a black background. Total number of stitches are 30 000. 114 DMC colored cottons are needed to complete this project. You are not allowed to resell this ebook. This cross stitch design can be sold once the project is completed for any price you wish. When you purchase one of my digital cross stitch patterns you are saving lots of money as I do not have to include in my price the cost of printing the cross stitch pattern or postage which can frankly be expensive. I have searched long and hard for the best cross stitch pattern maker and I think you will agree that this cross stitch pattern is wonderful. If you can't wait to start this fantastic new cross stitch project then check out Red and White Bird Two Cross Stitch Pattern free right now.